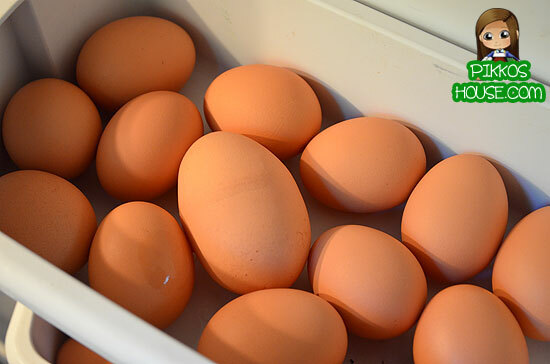 We’ve had backyard chickens for years now and I’ve really come to enjoy having fresh eggs overflowing from our fridge because that means anytime I need tons of eggs for cakes or dinner or things like that, I never have to worry about opening my carton and finding I only have 3 when I need 5 or need 2 when I only have 1. Stuff like that happens to me with cooking all the freaking time. Every day, we can go out and just gather the eggs they’ve laid. Go out at 8:30 and it’s probably too early. By 9 they’ve laid their eggs and so I try not to go out before that. Sometimes you can hear they squawking really loud and I’ll show you why. 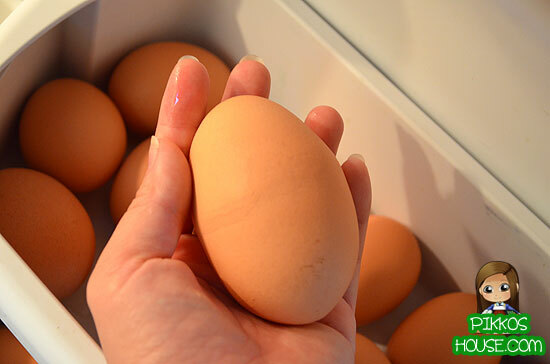 Every once in a while, we’ll go out to the coop and find a seriously gigantic egg. We’ve seen videos on YouTube on how this usually means two yolks or on the very rare occasion, an egg within an egg. Unfortunately, we haven’t yet gotten that egg-in-an-egg yet, but we’re hoping to one day get one! Here you can see the egg in my hand and it’s freakishly big. You can even see some ridges on the egg where the chicken probably had to stop halfway for a breather, which caused the shell to have a mark. I know, OUCH!!! For an idea on scale, here’s the egg with the other regular eggs. I think this is one of the bigger big eggs we’ve gotten. We’ll see if this is the one! My son keeps asking if he can eat it boiled, but that would complicate the whole reveal video a bit, haha!